Is Windows 10 truly going to be the game-changer Microsoft promises it will be? The latest edition to the Windows family was rolled out on July 29th, and those who have been able to make the upgrade have had some pretty nice things to say about it. Time will ultimately tell if Windows 10 is really going to be a hit, but early indications point to that being the case. If you're still waiting for the go-ahead from Microsoft to download Windows 10 free, then you at least have some time to look at some of the Windows 10 features. With Windows 10, it would seem as though Microsoft actually listened to people. The improvements to Windows 10 are vast, when you compare them to Windows 8 or Windows 8.1. We all know by now just how unpopular Windows 8 and 8.1 were. Some people even decided to stick with Windows 7 instead. 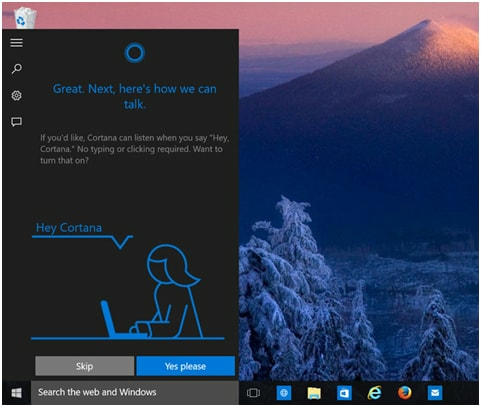 Cortana is one of the biggest features Microsoft is rolling out for the Windows 10. If you have been using the Windows Phone, then you already have an idea of what to expect from the tablet/PC version. This digital assistant is designed to be vastly superior to Siri or Google Now. You'll find Cortana next to your desktop's start button, but you can also say "Hey, Cortana" to bring it to life. You remain in complete control of how much Cortana knows about you, but you'll definitely love the way Cortana can bring up requested information instantly. Early users have also noted that Cortana is more than capable of maintaining a full, almost-natural conversational flow. Say goodbye to Internet Explorer. The long-disliked browser is finally being chucked aside, in favor of something that will strive to be decidedly different. 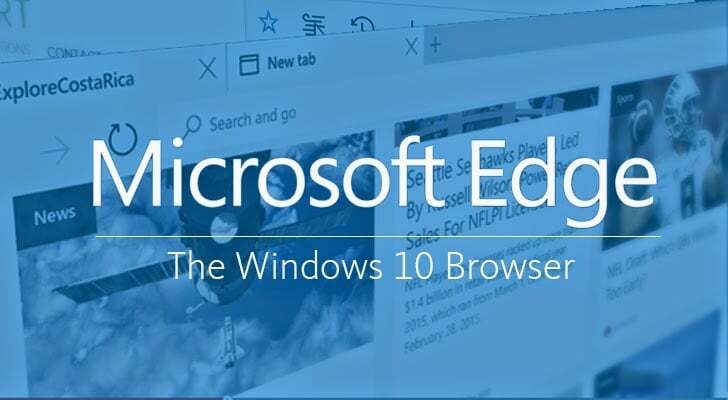 Although IE will still support legacy software, Edge is clearly the one taking center stage as the default browser for Windows 10. Features will include a screen grabbing tool that offers touchscreen sketching capabilities, a reading mode, and even a notepad. Search results will be built around your preferences, and you will have the ability as well to get restaurant information or directions shot to you in an instant. No one really liked the start menu layout for Windows 8 and Windows 8.1. Windows 10 offers a fantastic improvement to that end. If the start menu looks quite familiar, that's because Microsoft has made it a point to bring back the style virtually all of us prefer. Yet Windows 10 will have some decided differences. 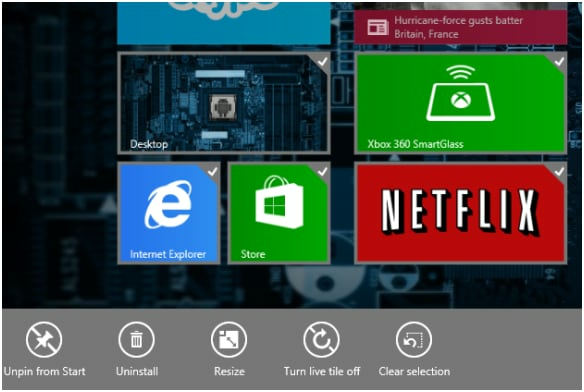 The start menu will allow you to look over frequently-used apps, use the universal search without swiping, and yes, the tiles will be there, as well. However, you will be able to control how prominent they are. 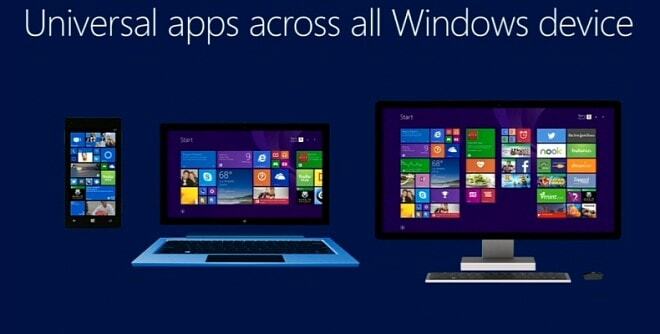 These are just three of the new features of Windows 10. Ready to learn about a few more? Windows 10 will include an exciting Xbox app, which will come loaded with possibilities. The Xbox app will give you the ability to control your Xbox One, but you'll also be able to utilize your DVR capture for your Windows games. Even more exciting is the way you'll have the ability to play multiplayer titles across between your Xbox One and your PC. With the streaming side of things, Windows 10 will allow you to stream titles from your Xbox Box. There will also be DirectX 12 support. If you're going to use Windows 10 across several different devices, you're going to love this aspect. Photos, Music, Video, Map, People, and other apps will be available across all your devices. Furthermore, Windows 10 will ensure that your apps will look and function the same, regardless of the app you're using. There is a cohesiveness and consistency to everything that is going to make Windows 10 a highly pleasant experience for most of the people who use it. You'll find that in terms of design and user interface, Windows 10 is a combination of modern features, the few good things about Windows 8 and Windows 8.1., and elements from past editions that we never wanted to get rid of. Some people are already enjoying Windows 10. Microsoft is slowly-but-surely making sure that everyone gets Windows 10 in good time. If you have Windows 8.1, Windows Phone 8.1, or even Windows 7, then you're entitled to a free upgrade to the brave new world of Windows 10.